Congratulations to ANZSA Vice President Brett Hirsch, whose Digital Renaissance Editions was officially launched during the recent SAA meeting in Vancouver! 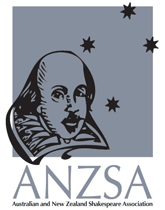 Rose Gaby’s book, Open-Air Shakespeare: Under Australian Skies has just been published by Palgrave Macmillan: http://www.palgrave.com/products/title.aspx?pid=761136 Congratulations Rose! The editors of The Shakespearean International Yearbook are pleased to announce our new advisory board, consisting of leading scholars from the U.S., U.K., Australia, the Netherlands, France, Poland, South Africa, India, and Japan. We are delighted to be able to work with such a distinguished group of scholars.